Bu araştırmanın amacı, devlet ve özel okul müdürlerinin elektronik iletişim tercihlerini ortaya çıkarmak, seçimlerinin nedenlerini araştırmak ve elektronik iletişimin geleceği konusundaki çıkarımlarını belirlemektir. Araştırma nitel araştırma yönteminden olgu bilim yaklaşımına dayanmaktadır. Bu amaçla sekiz devlet ve özel okul müdürü ile standardize edilmiş açık uçlu sorularla görüşme yapılmıştır. Görüşleri, içerik analizi yöntemi kullanılarak analiz edilmiş, raporlanmış ve değerlendirilmiştir. Sonuç olarak, elektronik iletişi araçlarının okul müdürlerinin hayatlarına iyice ve sürekli olarak yerleştiği görülmektedir. Bulgular, okul müdürlerinin elektronik iletişim tercihlerinin öğretmen, üst yönetim, veliler ve öğrencilerle iletişimlerinde farklılaştığını göstermektedir. Okul müdürleri, 21. yüzyılı yeni öğretmen ve öğrenmelerin gerçeklemesinin olası olduğu yeni uygulamalar için yeni bir kapı açmaya aday olduğu çıkarımında bulundular. The purpose of this research is to find out electronic communication preferences of private and state school managers, to explore the reasons for their choices and to determine their implications about the future of electronic communication. The research was based on phenomenological approach which is a qualitative research design. For this purpose, eight private and state school managers were interviewed using standardized open-ended interviews. Their views were analyzed using content analysis technique, reported and evaluated accordingly. Consequently, electronic communication devises have seemed to be settled in the lives of the school managers firmly and permanently. The findings proved that electronic communication preferences of the managers differ in their communication with teachers, superiors, parents and students. School managers implied that 21st century is candidate to open a new gate for new implementations in which new ways of teaching and learning are likely to occur. Akbaba-Altun, S., & Gürer, M. D. (2008). School administrators’ perceptions of their roles regarding information technology classrooms. 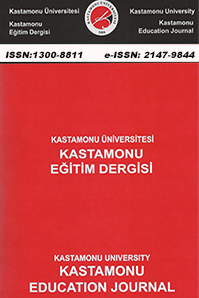 Eurasian Journal of Educational Research, 33, 35-54. Arokiasamy, A. R. A., bin Abdullah, A. G. K., & Ismail, A. B. (2014). Correlation between cultural perceptions, leadership style and Ict usage by school principals in Malaysia. TOJET, 13(3). Baltes, B. B., Dickson, M. W. , Sherman, M. P., Bauer, C. C. & LaGanke J. S. (2002). Computer-Mediated Communication and Group Decision Making: A Meta-Analysis. Organizational Behavior and Human Decision Processes, 87(1), 156–179. Bandura, A. (1977). Social learning theory. Upper Saddle River, N.J.: Prentice Hall. Carlson, J. R., & Zmud, R. W. (1999). Channel expansion theory and the experiential nature of media richness perceptions. Academy of Management Journal, 42, 153-170. Cox, D., & McLeod, S. (2013). Social media strategies for school principals. NASSP Bulletin, 0192636513510596. Craig, R. T. (1981). Generalization of Scott's index of intercoder agreement. Public Opinion Quarterly, 45(2), 260-264. Daft, R,, & Lengel, R. (1983). Information Richness: A New Approach to Managerial Behavior and Organization Design. Technical Report, Contract or Grant Number: N00014-83-C-0025. Department of Management Texas A&M University. Daft, R,, & Lengel, R. (1986). Organizational information requirements, media richness and structural design. Management Science, 32: 554-571. Daft, R,, & Lengel, R. and Trevino, L. K. (1987). Message Equivocality, Media Selection, and Manager Performance: Implications for Information Systems. MIS Quarterly, 11, 355-368. Davidson, J. & Olson, M. (2003). School leadership in networked schools: deciphering the impact of large technical systems on education, International Journal of Leadership in Education: Theory and Practice, 6:3, 261-281. De Vries, R. E., Van den Hooff, B., & de Ridder, J. A. (2006). Explaining knowledge sharing the role of team communication styles, job satisfaction, and performance beliefs. Communication Research, 33(2), 115-135. Eleanor, B. & Taylor, J. A. (2000). Information and Communication Technologies: Reshaping Voluntary Organizations? Nonprofit Management and Leadership 11 ( 2 ): 131 – 43 . Etudor-Eyo, E., Ante, H. A., & Emah, I. E. (2011). Use of Ict and communication effectiveness among secondary school administrators. Journal of Education & Sociology, 2(1), 20-27. Landis, J. R., Koch, G. G. (1977). The measurement of observer agreement for categorical data. Biometrics, 33:159-174. Makewa, L., Meremo, J., Role, E., & Role, J. (2013). ICT in secondary school administration in rural southern Kenya: An educator’s eye on its importance and use. International Journal of Education and Development Using ICT, 9(2). Markus, M. L. (1994). Finding a happy medium: Explaining the negative effects of electronic communication on social life at work. ACM Transactions on Information Systems, 14, 119–149. Mason J. (2002). Qualitative researching. (2nd edition), London: Sage Publications. Mitchell, R. B. Crawford, M. C. and Madden, R. B. (1985). An investigation of the impact of electronic communication systems on organizational communication patterns. Journal of Business Communication, 2, 9-16. Mojgan, A, Kamariah A. B. , Wong S. L. , Bahaman A. S. & Foo S. F. (2009) Technology and school leadership. Technology, Pedagogy and Education, 18(2), 235-248. Otondo, R. F., Van Scotterb, J. R., Allen, D. G., & Palvia, P. (2008). The complexity of richness: Media, message, and communication outcomes. Information & Management, 45(1), 21-30. Patton, M., Q. (1990). Qualitative evaluation and research. (2nd ed.). California: Sage Publications. Pazos, P., Chung, J.M., and Micari, M., (2013). Instant messaging as a task-support tool in information technology organizations. Journal of Business Communication, 50(1), 68-86. Petiz, S. Ramos, F. and Roseiro, P. (2015). The use of information and communication technologies in organizational learning practices: A Research Study in an Innovation-oriented Portuguese Organization. iJAC, 8, 1. Roberts, R. (2000) From Know-how to Show-how? Questioning the Role of Information and Communication Technologies in Knowledge Transfer. Technology Analysis & Strategic Management, 12(4), 429-443. Roberts, L., & Mancuso, S. V. (2014). What kind of international school leaders are in demand around the world? A test of differences by region and stability over time. Journal of Research in International Education, 13(2), 91-105. Rubin, H. & Rubin, I. (1995). Qualitative interviewing: The art of hearing data. Sage Publications, CA: Thousand Oaks. Sarbaugh-Thompson, J.S. and Feldman, M.S. (1998). Electronic mail and organizational communication: Does saying “hi” really matter? Organization Science, 9(6), 685–698. Schiller, J. (2003).Working with ICT". Journal of Educational Administration, 41(2), 171-185. Schmitz, J., & Fulk, J. (1991). Organizational colleagues, media richness, and electronic mail: A test of the social influence model of technology use. Communication Research, 18, 487-523. Seyal, A. (2012). A preliminary study of school administrators’ use of information & communication technologies: Bruneian perspective. International Journal of Education and Development Using ICT, 8(1), 29-45. Stone, N. J., & Posey, M. (2008). Understanding coordination in computer-mediated versus face-to-face groups. Computers in Human Behavior, 24, 827-851. Telem, M. (2003). Computerization of high school pedagogical administration–Its effect on principal-parents interrelations: A case study. Leadership and Policy in Schools, 2(3), 189-212. Treem, J. W. Dailey, S. L. Pierce, C. S., Leonardi, P. M. (2015) Bringing Technological Frames to Work : How Previous Experience with Social Media Shapes the Technology’s Meaning in an Organization. Journal of Communication, 65, 396–422. Van Den Hooff, B., Groot, J., & de Jonge, S. (2005). Situational influences on the use of communication technologies: A meta-analysis and exploratory study. Journal of Business Communication, 42, 4-27. Webster, J., & Trevino L. K. (1995). Rational and social theories as complementary explanations of communication media choices: Two policy capturing studies. Academy of Management Journal, (36)8, 1544-1572. Weingart, L. R., Olekalns, M., & Smith, P. L. (2005). Quantitative coding of negotiation behavior. International Negotiation, 9(3), 441-456. Wood, J. M. (2007). Understanding and computing Cohen’s kappa: A tutorial. WebPsychEmpiricist. Retrieved on May, 13 2015 from http://scholar.google.com.tr/scholar?q=Understanding+and+computing+Cohen%E2%80%99s+kappa%3A+A+tutorial&btnG=&hl=tr&as_sdt=0%2C5. Yıldırım, A. & Şimşek, H. (2008). Sosyal bilimlerde nitel araştirma yöntemleri. [Qualitative research methods in social sciences].Ankara: Seçkin Yayıncılık. Young, S., Beruh W. and Perry, S. (2008). The influence of technology in communication for school leaders: preferences, beliefs, and use. Planning and Changing, 39(1&2), 81-9. ISNAD SABANCI, Ali , ÇİMİLİ GÖK, Ebru Burcu , ÖZYILDIRIM, Gülnar . "Okul Müdürlerinin Elektronik İletişim Tercihleri ve Gelecek İçin Çıkarımları". Kastamonu Eğitim Dergisi 25 / 3 (May 2017): 1083-1098.